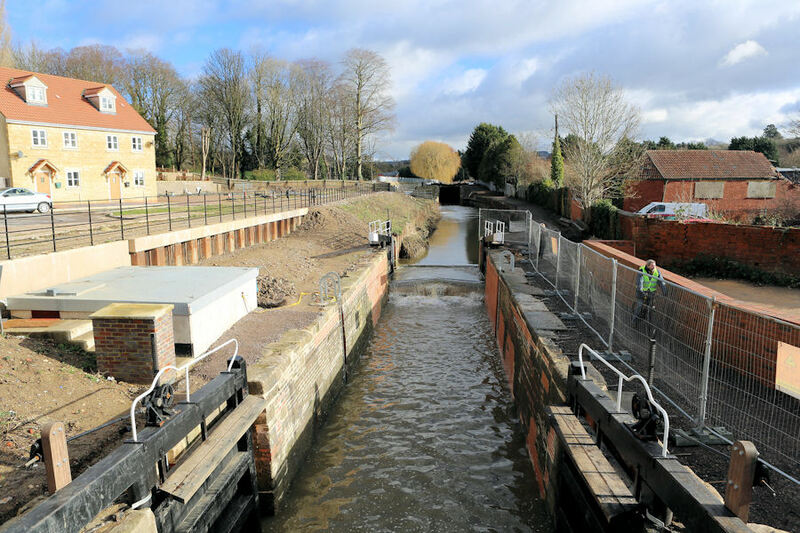 The Land & Water contract to restore the chambers of the two locks at Dudbridge is now complete. The towpath has been reopened, albeit it on a temporary basis. Safety fencing has been installed along the lock side on the towpath side. The path in this area is currently at a reduced level and therefore collects surface water. This of course makes it very soft underfoot so care is required. The surface dressing to the path at the lower lock is temporary. The final surface will be reinstated by CCT volunteers in the near future. The towpath alongside the lock area and down under the road bridge will be surfaced in reinforced concrete. Chris Spencer explains, "We have fixed steel bars into the coping stones in readiness for connection to the reinforcing bars of the concrete pathway. "This system will tie in to the coping stones in order to prevent a wash out of the path in exceptional flood conditions. 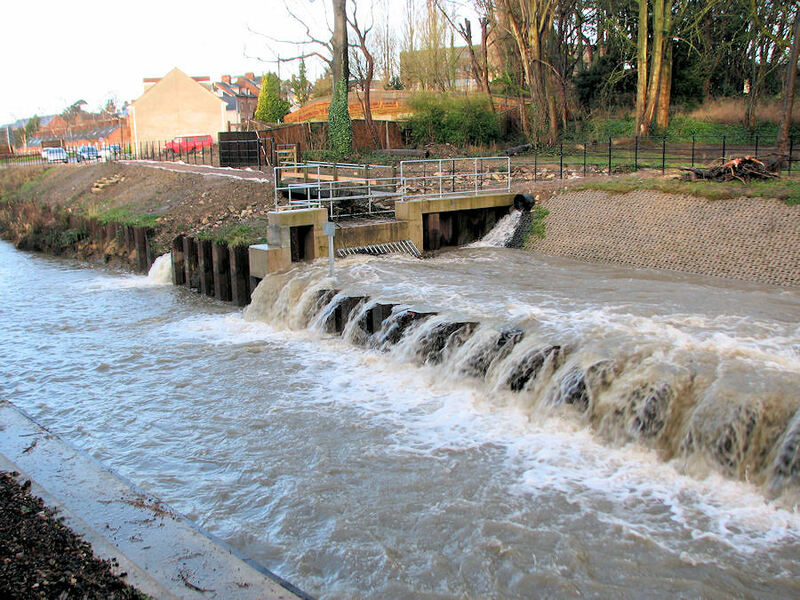 "Due to the current weather conditions, and high risk of localised flooding around lower lock, all four gates on the lower lock have been left open. This allows the pound between the locks to carry the excess water currently flowing downstream. "When the weather conditions improve and the concreting work on the towpath have been completed the gates will be closed and the pound refilled." "With the overnight rain on Friday night we had over 5 tonnes of water per second coming over the top spill weir. "The Hydro can use only a fraction of that amount. Keeping the overflow channel screen clear is a challenge, but these are exceptional times." David went on to explain how that impressive figure was arrived at. "The Hydro scheme inlet is fitted with sensors which give the height of the water flowing over it. Using that figure and the known length of the sluice allows a calculation to be made. The result gives rate of flow or volume per second. “We would like to thank everyone for the support offered during the project and we look forward hopefully to working with you all again in the future. "